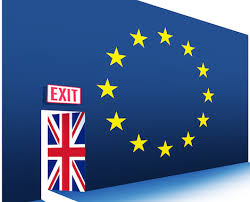 Eazipay Direct Debit Bureau: Brexit - should we stay or should we go? David Cameron announced at the weekend that we would have a referendum on 23rd June this year, to decide whether we should remain a member of the European Union or leave - dubbed Brexit. This followed a few gruelling days of negotiation with Europe's leaders by David Cameron. He seemed fairly pleased with his negotiation, but many are saying it is not enough. Even Boris Johnson has come out as an EU leaver. There are many that say we are a proud nation, and that we can survive and thrive on our own. There is an equal number saying that the EU is our main trading partner, and we would suffer if we left. Being a member makes life easier to export and import goods to the EU, but that doesn't mean we couldn't negotiate a trade deal. Some say the billions of pounds membership costs us will be able to be invested in our infrastructure and improve our ability to do business. But we would be at the mercy of the EU rules still without having a seat at the table. Free movement of people is fundamental to EU membership, and with that comes the feeling of no control of borders, which many feel has put pressure on services like NHS, roads and benefits. One of the major issues of benefits that seems to be mentioned a lot is child benefit being paid for children who don't live here. Red Tape - there is little doubt that many British businesses are drowning in red tape. Many feel that EU regulations place an unnecessary burden on companies, especially SMEs. Leaving would free the Government to make its own regulations. Money - membership of the EU costs a lot. There are different figures bandied around, but it seems that the direct cost is around €180 per person. That's a lot of money that could be reinvested into the country or give more tax breaks to SMEs etc. Control of the borders - this is a big big issue for the public. There is a lot of ill feeling about immigration and the payment of benefits etc. Regain control of our democracy - the EU has lost its way in terms of democracy. The parliament is elected by us, but the very powerful Commission isn't. Norway - they manage to deal with the EU and make their own laws and are not a member of the EU - surely we can do the same? Trade - as we mentioned earlier, the EU is our major trade partner, more than any other economy. Leaving would mean we had to negotiate a new trade deal, and we have absolutely no idea what that would be, there could be a tariff imposed on British products, which would harm our own prospects. Open Europe thinktank have said depending on that negotiation our GDP could shrink by 2.2% or add 1.6%. Farming - the farming sector would be hit by the loss of farming subsidies, these would need to be met by the UK Government, reducing the saving on EU membership. Holidays could become a lot pricier for us. Sterling could come under a lot of pressure following a Brexit. Nick Clegg - remember him? He said that 3 million jobs in the UK were linked to the EU in some way. Living abroad - 1.4 million Brits live abroad in the EU, things like British driving licenses are valid in the EU - what would happen to them? Crime - the EU arrest warrant removes the need for extradition, which can take a very very long time. We would have to negotiate Extradition treaties with every country in the EU. Loss of Global influence - some argue the EU is only as influential because of Britain and Germany, which may be true. But would Britain be as influential as it is with a seat next to Germany and others?